Overnight work and a northbound single lane closure have been scheduled from Monday, July 30 at 11 pm through Tuesday, July 31 at 6:30 am along S. San Elijo Road between Boundary Lane and Baker Street. Overnight work and a northbound single lane closure have been scheduled from Monday, July 30 at 11 pm through Tuesday, July 31 at 6:30 am along S. San Elijo Road between Boundary Lane and Baker Street to accommodate a construction improvements and sewer line upgrades related to the new San Elijo Town Center residential development project. Standard traffic control measures with advanced warning signs and pedestrian detours will be in place to maintain through traffic. Minor traffic delays are anticipated and motorists are encouraged to follow all traffic control, drive with caution when traveling through the area, and use alternate routes if possible. 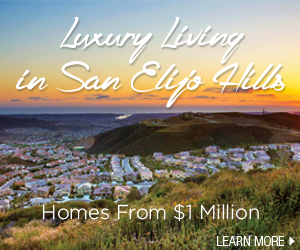 Work performed as part of the new San Elijo Town Center residential project is paid for by developer funds. For more information, please contact the San Marcos Public Works Inspection Division at (760) 744-1050, ext 3307.